Amos is a finance executive with a track record in the Oil and Gas industry spanning over 20 years. He has exposure in all aspects of Oil & Gas Commercial and Financial issues, including structured finance, JV/PSC Accounting, stakeholder management, cost recovery and governance. 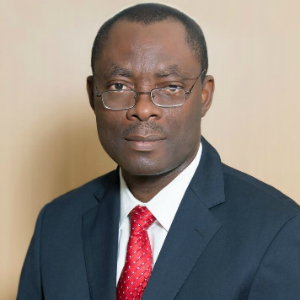 In his role as a Finance Director and Business Finance Manager with The Shell Petroleum Development Company of Nigeria (SPDC), he was the one shop stop for all finance, strategy, planning, budget and commercial support for the Production function with annual Opex budget of circa $750mln, Capex budget $250mln and production of over 800Mboe/d. Most recently, he was Director with PwC driving the Oil & Gas Business Development. Amos holds a B.sc degree in Economics from the University of Benin and is a Chartered Accountant. He is also a certified SAP consultant in Materials Management and has an MBA in Oil & Gas Management from Robert Gordon University, Aberdeen, UK. He is an alumnus of the Wharton business School of the University of Pennsylvania, Pennsylvania, USA. In his current role, he will manage and control all financial and business support related activities including development of financial and operational strategies to achieve cost effective utilization of SAPETRO’s assets and financial resources and maximize return on shareholders’ investments.